On September 11, 2016, a group of eager and devoted Chinmaya Mission Centres across North America began a journey to learn the vedantic teachings contained within the Ramayana. 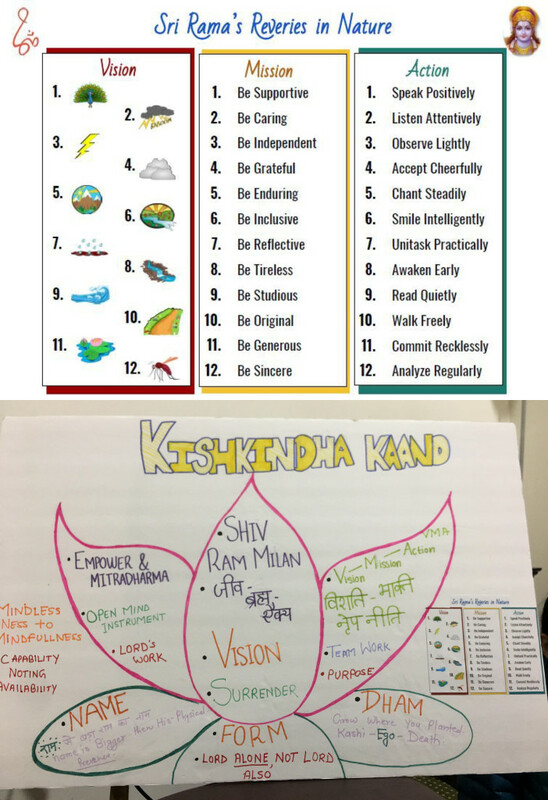 Led by Vivekji from Chinmaya Mission Niagara Falls, the Centres began their two and half year online study (approximately 70 classes), where they explored the key facets of the Ramayana. Using Tulsidasji’s exquisite poetry of Ramacaritamanasa as the basis of the teachings, the glories of Lord Rama were studied in depth. Every Sunday for one hour, key verses of each of the seven kanda’s (chapters) were reviewed, analysed, interpreted and practical implications to our daily lives were shared. Students learned that the virtues possessed by Lord Rama are a blessing to this world. Lord Rama is Infinite. Infinite are His virtues and the depth of His story is immeasurable. Those whose thoughts are pure will feel no surprise when they hear it. Ramayana is an epic. Its purpose is to guide society. We learn how to be a good child, a dedicated student, a wonderful sibling, a loving caring spouse, a supportive friend, a defender of virtues, a noble contributing member of society and a great leader by studying its message. Various dharmas are taught in Ramayana and that is the reason why we need to study this great epic, so that we can better understand our own dharmas. Dharma brings everything together. One who follows dharma is protected. For all of us, dharma is by design. Each of us has a unique dharma designed by God. Currently, we live in our fears and insecurities, preventing us from seeing our dharma more clearly. By quieting the mind, turning inward, and following our dharma, we can be serene and strong. Dharma will protect us and others. Whatever your purpose is, dedicate yourself to that purpose. These were some of the main messages expounded in our study. When the meaning of the name of Lord Rama is interpreted, we learned that the Ramayana is happening in ‘Our Own Body’. ‘Ra’ means light, ‘Ma’ means within me, in my heart. So, Rama means the Light within Me. When we bring the vedantic teachings of the Ramayana to ourselves, we learn that our soul is Rama, our mind is Sita, our breath or Life-Force (Prana) is Hanuman, our awareness is Lakshmana and our ego is Ravana. When the mind (Sita), is stolen by the ego (Ravana), then the Soul (Rama) gets restless. 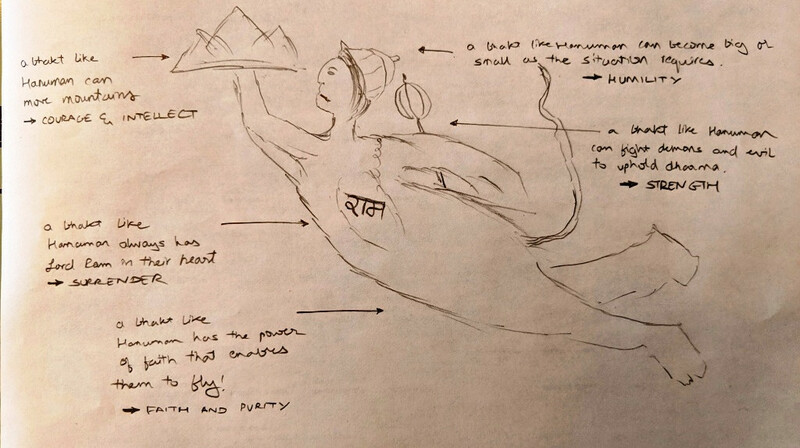 Now the soul (Rama) cannot reach the mind (Sita) on its own. It has to take the help of the breath, the prana (Hanuman) by being in awareness (Lakshmana). 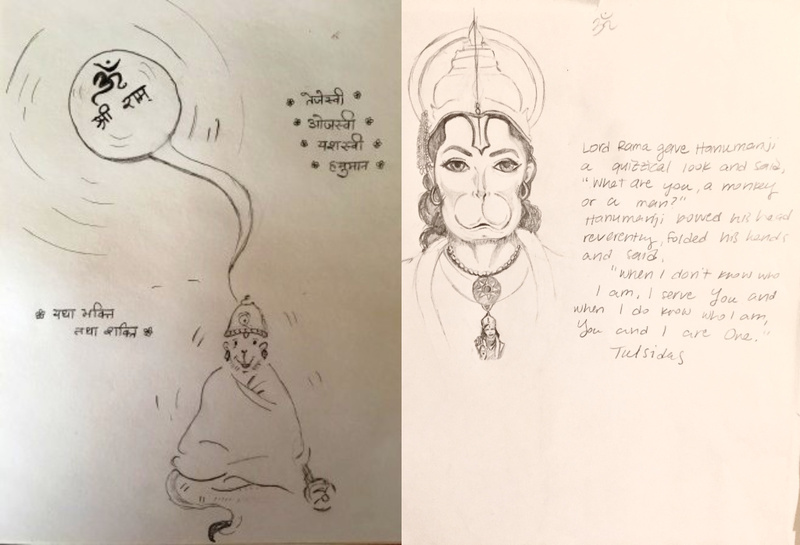 With the help of the prana (Hanuman) and awareness (Lakshmana), the mind (Sita) is reunited with the soul (Rama) and the ego (Ravana) vanishes. Students realized that those who have faith understand fate more fully. The more faith we have, the more fate reveals itself. There is an eternal debate about free will versus God’s will. For those who are less faithful, there is free will. For those who are more faithful, there is God’s will. When you become so faithful that you trust God’s will, you become unshakable. Even in an uncontrolled environment, one will be balanced and happy. Offer all that one has to Lord Rama with utmost sincerity. Hold on to the Divine, as Lord Rama assures us that whenever we remember Him, He will be with us. There is from a powerful doha which highlights the importance of satsanga, “Binu satsanga na hari katha tehi binu moha na bhaga“. Without satsanga, there is no remembering Bhagavan. If we cannot bring Bhagavan into our lives, then moha (delusion) cannot run away. With sincere and steady prioritization of satsang and study of Ramayana, moha has no choice but to run away.